Every payday week we bring you the Price Comparison and show you why it makes (ringgit and) sense to use BuyandShip instead of shipping direct to your home using the retailer’s preferred air couriers. Using BuyandShip, you’ll be able to save not only just on shipping but also on the actual retail price of the items as well! For this week, we bring into light the savings that mothers can get when spending on items, especially for those who are new to the role! We know that having offsprings are not cheap, and you want the best for the little one, so here we’ll show you how to skimp without compromising quality! – 4 Mon’s Rockaboo – Malaysia Retail Price : RM899, but only RM638 on Amazon! That’s savings of RM261! – Ju-Ju-Be B.F.F. Diaper Bag in The Versailles Print – Malaysia Retail Price : RM1472, but only S$518 on Amazon. Save RM636! – Lalaboo Soothe Shirt – Malaysia Retail Price : RM567, but on Amazon, it is only RM299! You can save RM268! – Beaba Babycook 4 in 1 – Malaysia Retail Price : RM714 and of course, it is cheaper on Amazon, as you can get it for RM598. Save RM121! 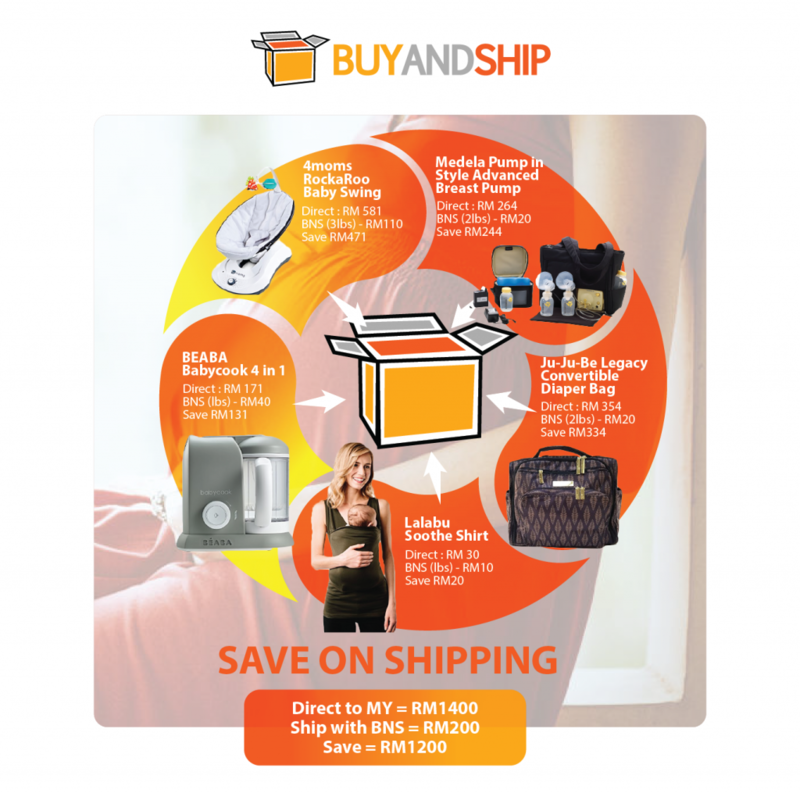 In total, by shopping with BuyandShip, you will save a whopping amount of RM3,640 on both shipping AND on the items itself. Don’t spend like a fool – sign up with us and save, save, save!